Plant this Wildlife Attracting Garden at home. The design below was developed for your home garden by Arboretum experts. 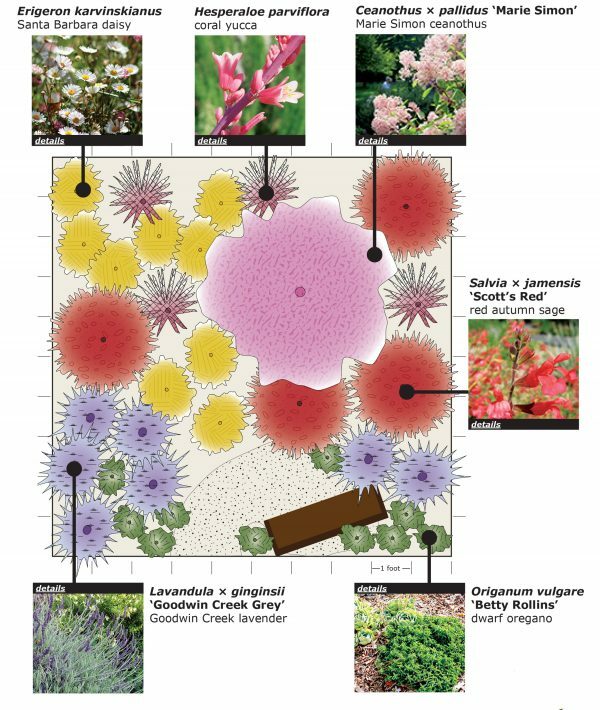 The plan below is based on a 10-foot by 10-foot garden bed. Click here for a printable .pdf version.